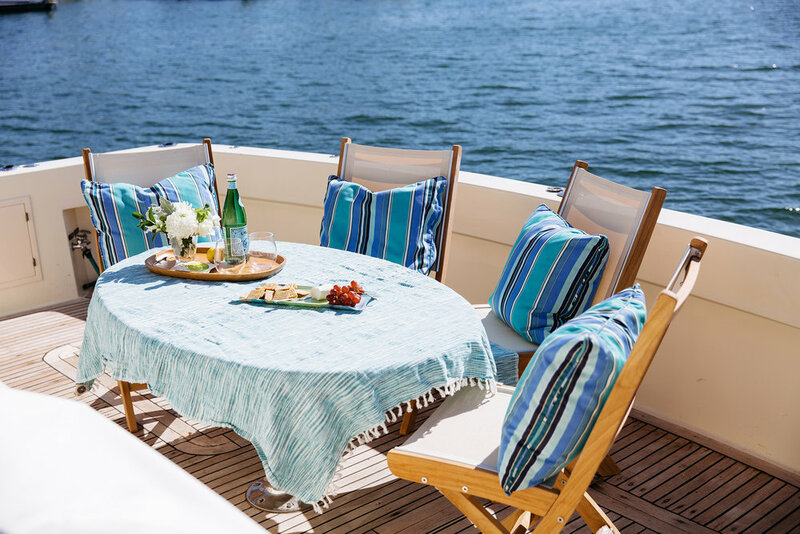 Experience Banderas Bay on your own personal yacht! Board the Costa Azul at 9:00 am and return after 3 nights at 12:00 pm! Package is for up to 6 people and includes a captain and 1 crew member and fuel. Accommodations include master suite with king bed, mid stateroom suite with queen bed and forward stateroom V-berth with 2 large singles that convert into a king size bed Each staterooms have their own bathroom and showers and there is air conditioning through out the entire yacht! Provisions not included but send us your list of groceries and we will have it ready for you when you arrive. Cook dinner aboard and eat on the aft deck as you enjoy the beautiful sunsets of Banderas Bay or Captain Ricardo will take you into shore for dinner at some of the amazing restaurants surrounding the Banderas Bay including beautiful Punta Mita. 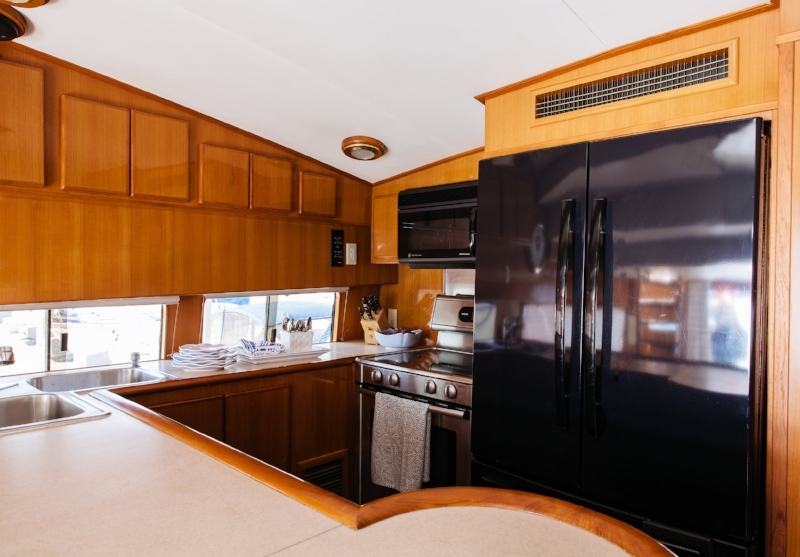 We have a full size galley with double refrigerator, stove, oven, microwave, Nespresso machine and bbq on the aft deck. Spend the days cruising to exotic locations that can only be seen by boat or anchor and relax as you enjoy the water toys we offer including 2 stand up paddle boards, 2 inflatable kayaks, snorkeling and fishing gear as well as an inflatable trampoline and slide for the kids. Email or call us for more details on this trip of a lifetime!